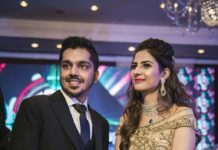 7 Qualities That Make Him/Her An Ideal Partner - Wedding Affair var admin_url = "https://weddingaffair.co.in/wp-admin/"
If you’re in that stage of a relationship where you are planning to get married to your longtime partner, you must be undergoing a lot of stress. Relationships being fiduciary should be handled with great care and caution. Finally settling down with someone may appear to be exciting but it is all-so-frightening at the same time. While being in a relationship and being married are completely different things, taking this step forward but be thought about with care and precaution. 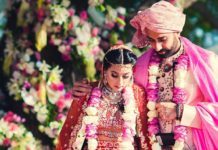 Before tying the knot make sure that he or she acquires the basic essential qualities which are must for a jovial, blissful and peaceful married life. It is these small things that matter in a marital bond and if your partner misses anyone of these qualities, then you might want to sit down and reconsider your selection. If you’re ardent regarding your goals and ambitions, make sure he/she respects and supports you for the same. Your partner should always be handy at the time of downfall and brace you up to strive and make endeavours to achieve your goals. Family comes first and post-marriage one cannot be severed from his or her roots. If your partner neglects and shows no respect to your friends and family, then surely he or she isn’t a good choice to carry on. This is a worthy value and quality which can neither be neglected nor be considered as secondary. A partner who is careless and irresponsible can never be praised as a good option. Another part of this issue is that you two have had “the talk”. Whether you want children or not, you two should be on the same page. If yes, at what age and if no, does it mean never? If either one of you is planning to adjust according to other person’s wishes, this might not be very intelligent to do. Sooner or later, the person might start repenting on their decision. It might not seem to be imperative but practically, in today’s era and scenario, this aspect cannot be ignored. It is of prime importance which if ignored can bring several hindrances to the happiness and peace of a married life. If you two know how much you both earn and are completely fine with it, then things can be smoother for you. Would you love to marry someone you adore but is still dependent on his/her parents? Indeed you would say no, because love cannot feed your needs and desires. There has been a time when men were considered to earn the bread for the home but, it’s an era of equality and both men and women stand on the same foot. So, before exchanging garlands make sure your partner is well-settled and independent. The one who holds grudges, digs-up the past and is reluctant to forgive, brings mental agony and grief with them. Your partner should be compassionate enough to accord your pardon if you commit some mistake or so. While you might be the one who always comes up with a “sorry” or “it’s okay”, you wouldn’t want to do that for the rest of your life. Your partner should be intellectual enough to get your stand. He or she should be the one with whom you can candidly share a word without having a room of doubt and can trust on him. Adding to this, he should be guileless and loyal to you because no one extols a cheating soul. Next articleBeat The Heat With These 7 Must Haves For Men’s Wardrobe!